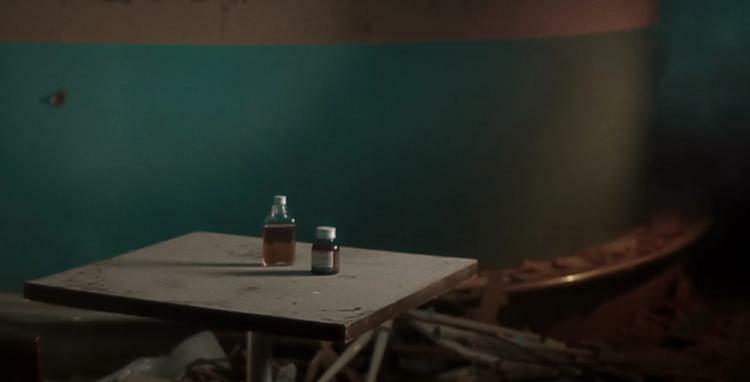 A head trip in a rundown warehouse with pills… Literally. Director Luca Marcionelli’s IN/OUT was shot in one day using a Canon 7D. It’s a crazy ‘what’s going on?’ kind of film which looks marvellous and is supported by a scratchy, eerie sound design. The short’s ‘spun out’ feel is further sold by the addition of a smoke machine and slow motion cinematography from John Hope – placing you firmly in the confused shoes of its protagonist. You have no idea where you are? You’re trying to find the door. You’re trying to escape, but from whom?